Marijuana Legalization In Colorado Passes The Half-Year Mark: So How Is It Really Going? Consumer businesses are flourishing and crime is down in Denver, but is this the whole story of how Colorado is doing in its first few months of legalizing marijuana? Photo courtesy of Shutterstock. What’s happening in Colorado? It’s the question of the hour and not just for weed enthusiasts. As the first state to legalize marijuana, Colorado has allowed anyone older than 21 to purchase recreational cannabis at licensed facilities since the first of the year. Pretty much anyone with a pulse is interested in the economic, legal, and health effects this has had, and now, it seems, Reuters is flashing the all clear sign; consumer businesses are flourishing, the news agency reports, bringing a flow of new tax dollars into the state, while crime in Denver has gone down a few percentage points. All’s well that ends well, say some observers, while others maintain a more skeptical, wait-and-see attitude. After all, a few problems have already surfaced. Amendment 64 was the game-changing law passed with 55 percent of votes, and as such, it outlines the rules and regulations for recreational use of marijuana. Colorado residents may purchase (and possess) up to an ounce of cannabis at a time, while out of state (or out of country) visitors may only purchase a quarter ounce. In Denver, a resident is allowed to grow up to six plants of cannabis per person or 12 per house, with other municipalities enforcing their own limits. Though residential growers may grow, they are not allowed to sell weed to anyone. If they wish, they can donate the fruits of their labor but only to adults over 21. In terms of public use, it's illegal to smoke pot in the open and it is also against the law to consume cannabis within 1,000 feet of a school. Five nanograms of THC per milliliter of blood, which amounts to a few hits off a joint, will earn you a DUI. Those refusing a blood test lose their license for a year. These rules, then, seem clear as day. What might some of the problems be? For one, Marshall Allen, of ProPublica, suggests legal pot is attracting new and possibly naïve users and, not knowing what to expect, they are getting into trouble. On the slightly comical side are all sorts of stories about people consuming too many edibles and ending up trapped in their hotel rooms waiting for the hallucinogenic effects to pass. On the tragic side, there is 19-year-old Levi Thamba Pongi, a visiting student and native of the Republic of Congo, who jumped from a hotel balcony after eating too many pot-laced cookies. And then again there’s the Denver man who shot his wife dead after eating marijuana-infused candy. This appears to be an issue of regulation. A Denver Post study revealed THC levels in edibles are never exactly what the package reads. Sampling products from various dispensaries, the Post discovered watermelon drops labeled as 100 milligrams (mg) of THC actually contained 17; mint chocolate bar advertised as 100mg of THC instead topped out at 146; and chocolate chunk cookies testing at the 101mg level were labeled as 100. These erratic levels need to be remedied as anyone buying another legal drug, a bottle of wine, say, never doubts (and never needs to doubt) the alcohol content printed clearly on the bottle. Another problem: Reuters reports pot seizures near the Colorado border have shot up 400 percent over the past three years in neighboring Nebraska, though the same has not occurred in New Mexico and Wyoming. This issue also needs to be addressed. 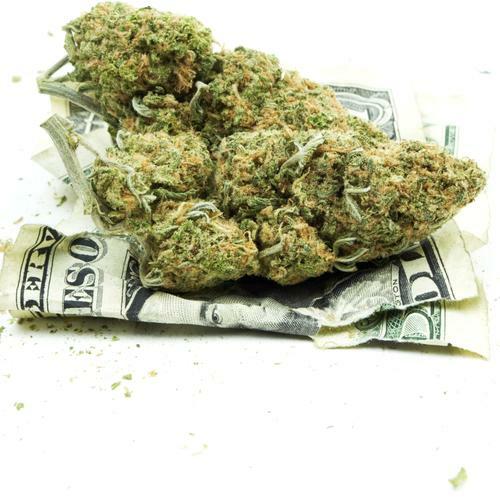 On the positive side, Colorado’s marijuana sales topped $202 million in the first four months of the year. A third of those sales were for recreational cannabis, which contributed nearly $11 million to the state’s tax revenues. Meanwhile, Denver police report burglaries and robberies down by about four percent in the same time period. Great and good, you say, yet one statistic is obviously absent from all the reports: car accidents. In a recent study, scientists claim fatal car crashes involving pot use have tripled in the U.S. between the years of 1999 and 2010, with one out of every nine drivers involved in deadly crashes testing positive for marijuana. Before anyone gives Colorado an A on its report card, the state needs to prove drugged-driving has not begun to escalate.